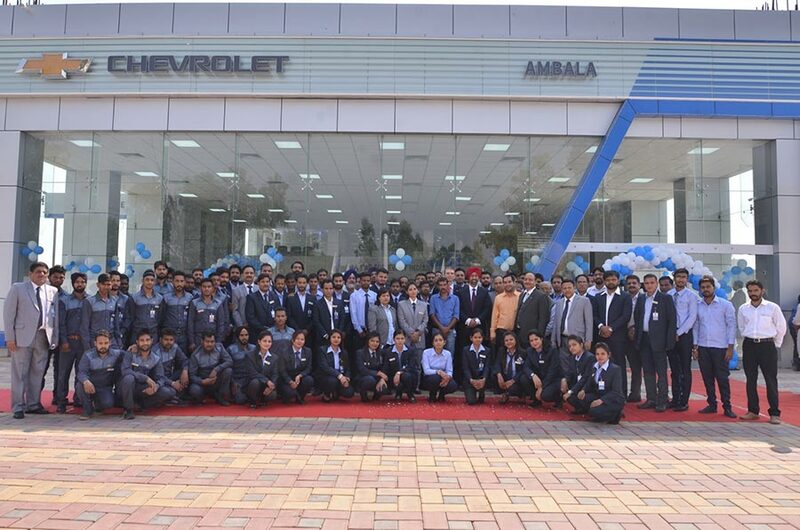 As part of its commitment to reach out to more customers and provide a more convenient customer experience, General Motors India today inaugurated new 3S facilities in Ambala and Kurukshetra. Chevrolet now has 17 showrooms and 17 workshops in Haryana. We have opened the new facilities in view of the increasing popularity of Chevrolet vehicles in the region. The Ambala facility, Ambala Automobiles, is headed by Sunil Oberoi. The Kurukshetra facility, VPS Motors, is headed by Bipin Singhal and Raghav Singhal. We are confident that under their able leadership and guidance, the facilities will set new benchmarks for sales, service and customer satisfaction. Ambala Automobiles is located on Jagadhari Road in Ambala Cantt and has an area of 36,705 square feet. VPS Motors islocated on GT Road in Khanpur Kolian and has an area of 14,700 square feet. Both 3S facilities integrate sales, service and parts operations. They provide a wide range of accessories and top-of-the-line support to customers. A team of highly trained and equipped engineers is available at the facilities’ workshops, which have the latest tools, state-of-the-art diagnostic equipment and computerized technology for attending to the needs of customers. added Markus Sternberg, vice president of Aftersales and Customer Experience at GM India, who attended the opening of the facilities. As part of its commitment to provide customers an experience that they truly expect and deserve, GM India has introduced Chevrolet Complete Care. The program provides assured low-cost and high-quality maintenance for Chevrolet customers across India. Chevrolet Complete Care includes the industry-first Chevrolet Promise. It offers assured low cost of maintenance; the round-the-clock 24×7 Roadside Assistance Program, which is free for three years after all new car purchases and an extended vehicle warranty at a nominal cost. The Roadside Assistance Program is available for existing customers at a nominal cost provided their vehicle is not more than five years old. GM India has also developed digital applications to further improve the overall ownership experience under Chevrolet Complete Care. The Chevrolet Service Estimator online tool, which is available on the Chevrolet India website, helps calculate periodic service costs. The MyChevroletIndia mobile app helps customers locate and contact the nearest authorized Chevrolet service station. Chevrolet’s portfolio in India includes the Beat, Cruze, Enjoy, Sail, Sail Hatchback, Trailblazer and Tavera. The brand plans to launch at least five new models in India within the space of 24 months.